A cycled through Pilrig Park today, just off Leith Walk. I used to live in Balfour Street so know the park well and have often wondered what this house, situated to the top of the park was and is used for. 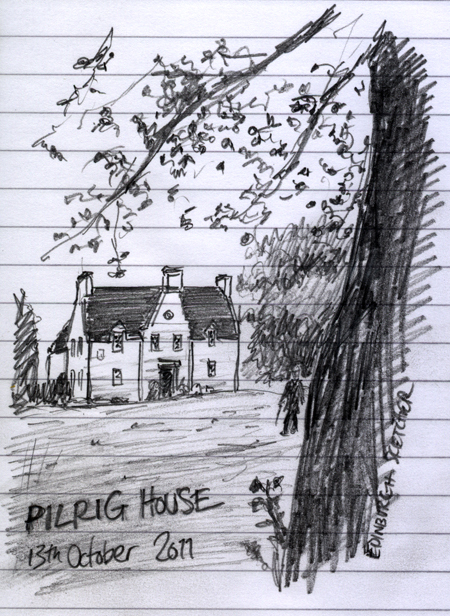 After a quick google I still don’t know, but did find a lovely engraving of Pilrig House, here. If anyone knows the history please let me know below. A great feel of autumn in this one.